“I will have been in this industry for 30 years next July, and I am the most excited right now, because everything has been building up to this point” Dean Nelson, head of Uber Compute and founder of Infrastructure Masons said. 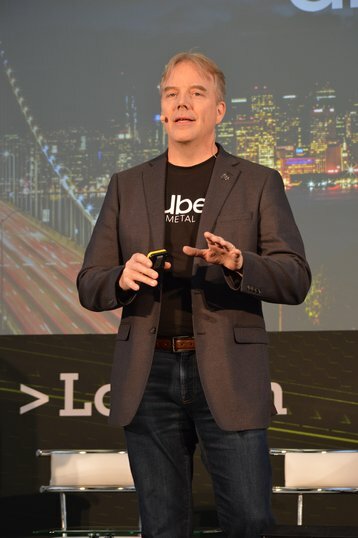 Talking at the DCD>London Day One keynote, Nelson laid out his infrastructure vision for Uber, the ride hailing and transportation services company that has grown rapidly over the past few years. “Today we’re in six continents, we have 78 countries, 600 cities, 3m+ active drivers, 15m rides per day, 75m monthly active riders,” Nelson said, expounding upon the breakneck success Uber has experienced. 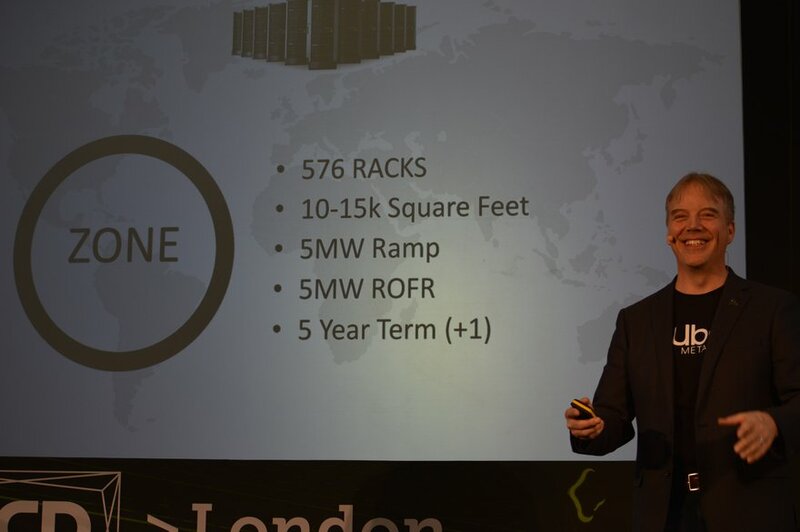 To handle its existing load, and its potential growth, Nelson’s team have turned both to colocation data centers, and the public cloud. For on-prem deployments, which serve the majority of Uber’s workloads, Nelson outlined the standardized deployment the company relies on, called Uber Metal. That 480 is then bumped up further, with 32 racks for network and 64 racks for miscellaneous extras, “because we never know what’s going to happen,” leading to a total of 576 racks. 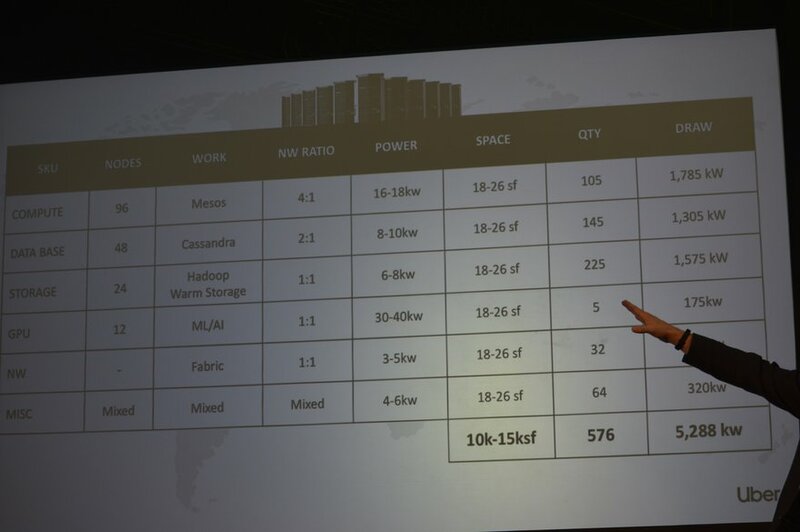 The company uses four types of rack: compute, database, storage (tiered storage with warm and cold), and GPUs for machine learning. “One of the concepts we’re moving for is defragging the data center. The fabric architecture allows us to move things around, so that there is no stranded power,” Nelson said. With the concept explained, Nelson added: “There’s the makeup – go build it. 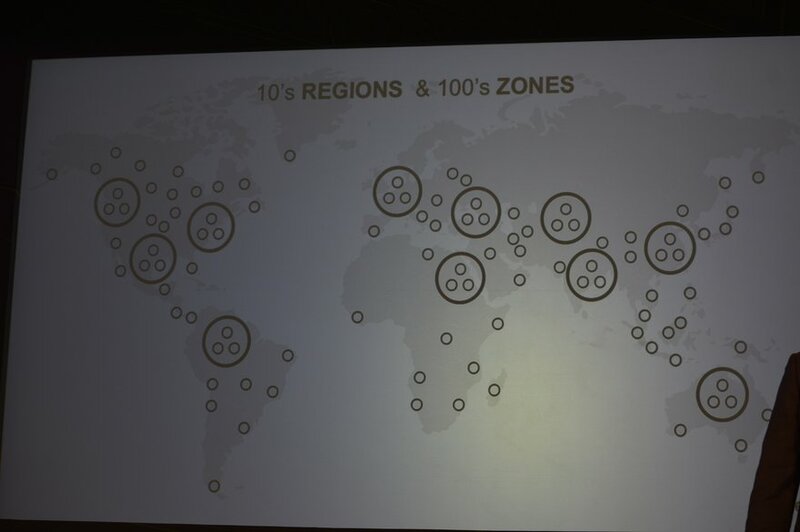 Uber shows no sign of slowing, Nelson said, with the company hoping to add tens of regions (clusters of three data centers), and 100s of zones (single data centers), including edge data centers. “This means lower latency, but also more resiliency, so you can have data centers with lower tiers,” he said.